An exciting and very unusual location at over 2000 metres altitude, close to Arcabulle chairlift. - a restaurant and a dance floor. 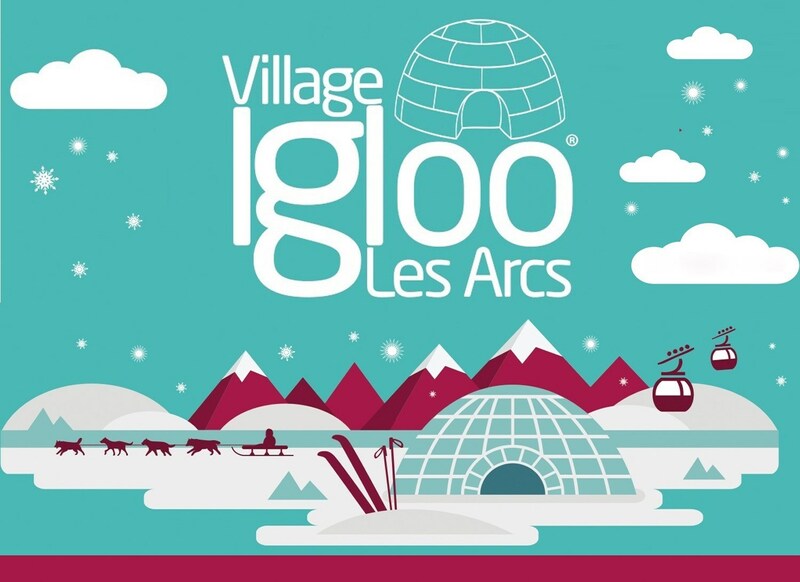 The Igloo Village is a real hotel made of ice that you can ski or snowshoe to from Arc 1950. An explosive cocktail of skiing and aerial sports like paragliding, speed flying or kite skiing, speed riding is a new winter sport that started a few years ago. This activity that allows you to experience extraordinary sensations on the snow and in the sky is getting more popular season after season. You don’t have to know how to fly to learn speed riding, you only need to be a reasonably good skier. 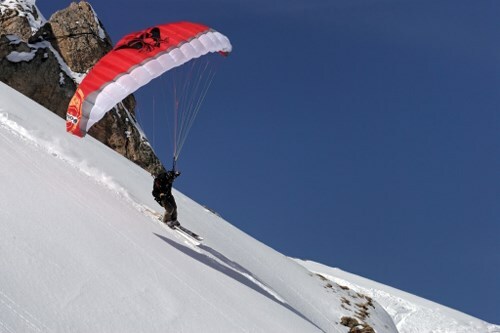 The Speedriding School in Arc 2000, the site above Arc 1950 Le Village, offers lessons in this new discipline. Wild riding... try the toboggan run! 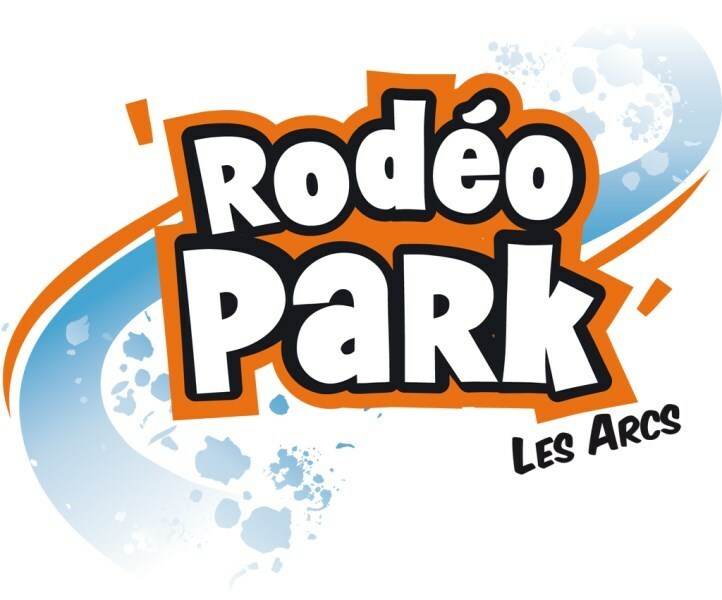 Accessible in just 5 minutes from Arc 1950 by taking the Cabriolet, the Rodeo Park toboggan run guarantees thrills and loads of laughs! With its 3000m descent and 400 m vertical drop, this is one activity that you just have to try…and it’s right next to the village. 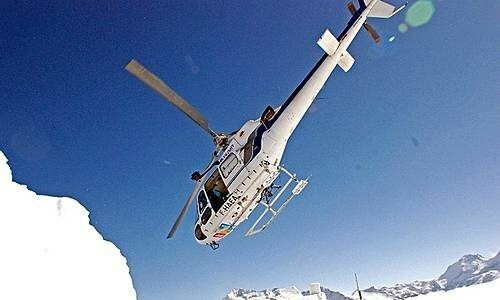 Mont Blanc helicopter base, just next to the village, proposes initiation flights that let you discover the Paradiski area from the ski or fly over Mont Blanc. You can also organise a heliski outing with two drops on Italy’s most beautiful peaks, a meal in a restaurant and the flight back to the resort, supervised by a mountain guide. Completely unforgettable! Go for a sled dog ride leaving from just a few minutes away from the village, at Pré St Esprit. Comfortably settled in the sledge with a blanket or fur rug over you, alone, with your loved one or your family, you will find your ride through the forest quite charming.